Visit Santa Monica Pier and Hollywood Walk of Fame for their historical value. 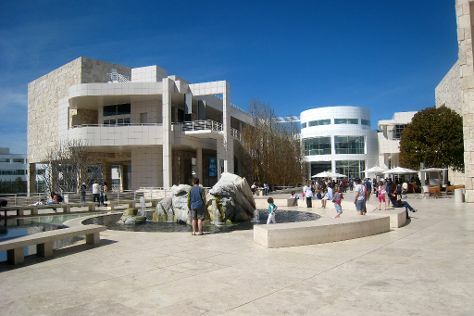 Get some cultural insight at The Getty Center and Griffith Observatory. Venture out of the city with trips to Santa Monica (Montana Avenue & Third Street Promenade) and Anaheim (Disneyland Park, Disney California Adventure Park, & more). Pack the 21st (Sun) with family-friendly diversions at Universal Studios Hollywood. There's still lots to do: tour the pleasant surroundings at Venice Beach and Boardwalk, wander the streets of Art District, admire the majestic nature at Santa Monica State Beach, and get a taste of the local shopping with Abbot Kinney Boulevard. To see ratings, other places to visit, and tourist information, read our Los Angeles itinerary maker app . If you are flying in from India, the closest major airports are Los Angeles International Airport, John Wayne Airport-Orange County Airport, Ontario International Airport and San Bernardino International Airport. Expect a daytime high around 28°C in April, and nighttime lows around 15°C. Cap off your sightseeing on the 30th (Tue) early enough to travel back home.